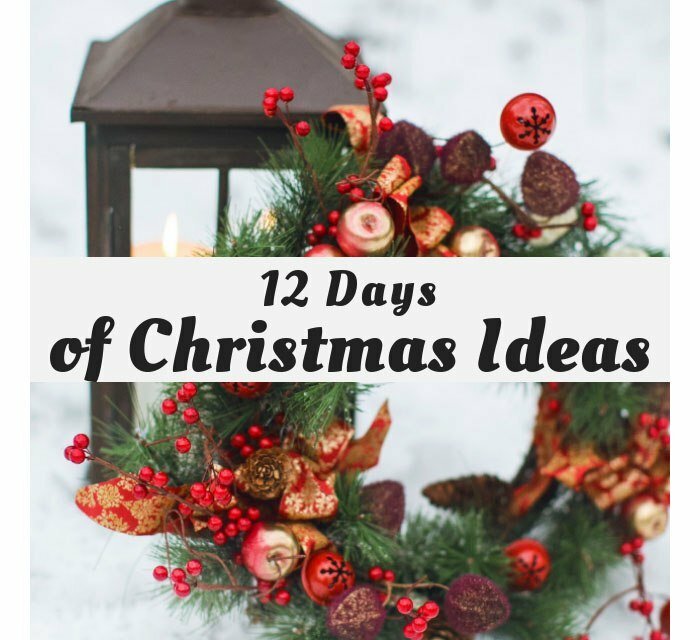 It is day ONE of the 12 days of Christmas blog hop I mentioned in yesterday’s post. First up: Wreaths! I wanted to make a wreath that anyone could make practically with what they had on hand. For me that was lots and lots of pine cones! 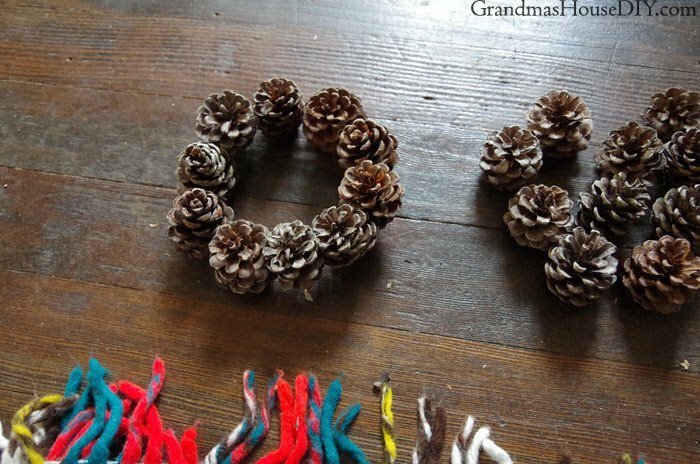 I’ve seen pine cone wreath tutorials before and wanted to do something that would hold up a little better and not require a hot glue gun. 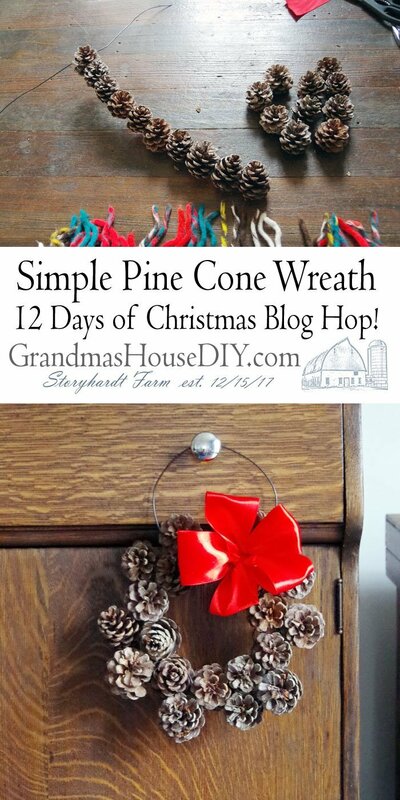 Scroll down to see my tutorial and keep on going for the rest of the amazing wreaths this year! 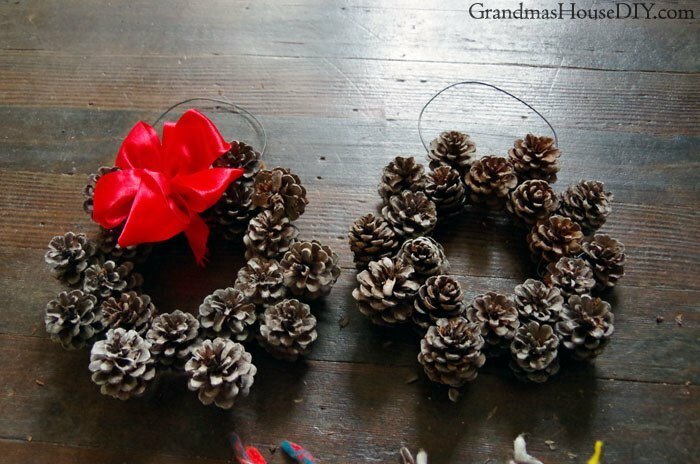 It’s Day 1 – DIY Wreath Ideas! 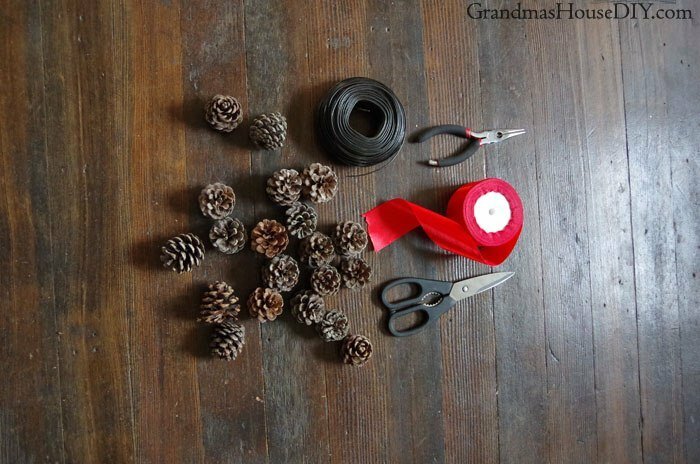 Every single DIY pine cone wreath tutorial I’ve ever seen calls for a lot of hot glue. 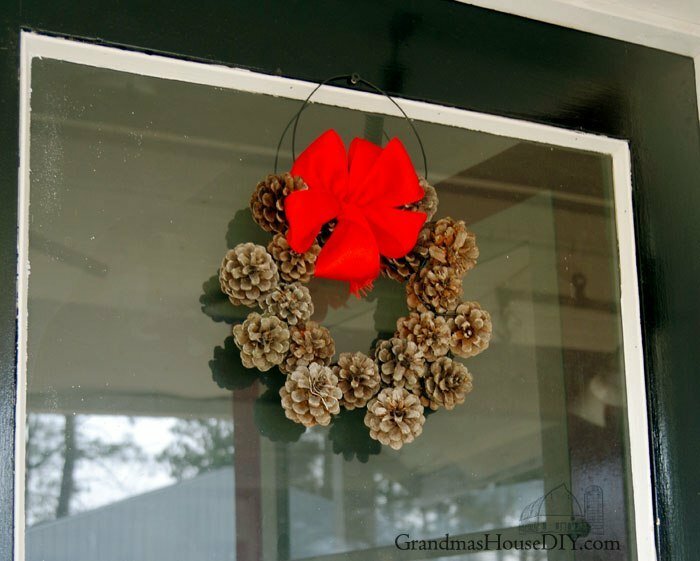 I like using my hot glue gun (despite that I always burn the heck out of myself) I just didn’t think it would do well if I ever hung my wreath up outside here with our major cold temperatures. So, I got to work on a different way to connect them all. I grabbed my spool of fencing wire. So, I gathered my pine cones and started connecting them. 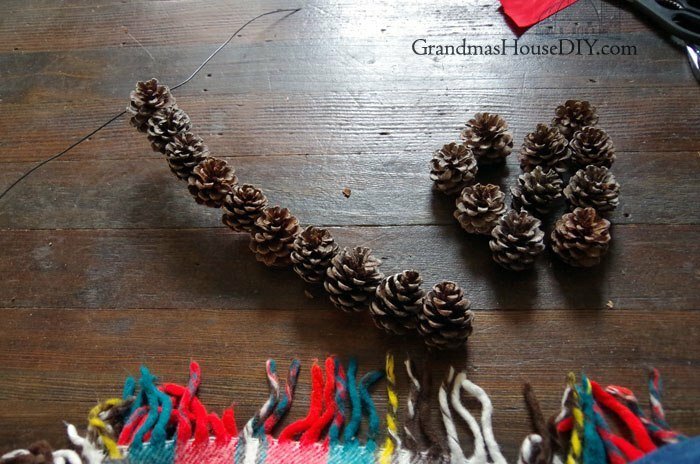 I did this by making a loop around the pine cone and simply crossed it and tightened it down before then wrapping it around the next pine cone. It was great because the wire literally hid right inside around the core of the cone! Within a matter of minutes I had ten pine cones all in a row and I just had to connect the ends to make the circle. 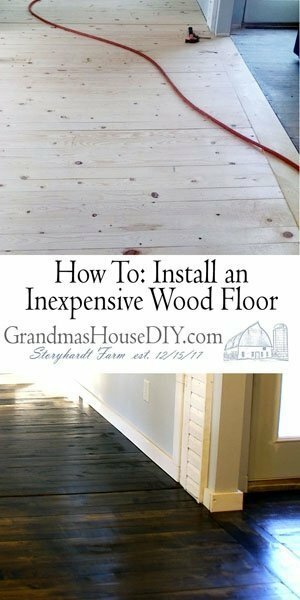 So simple and easy! 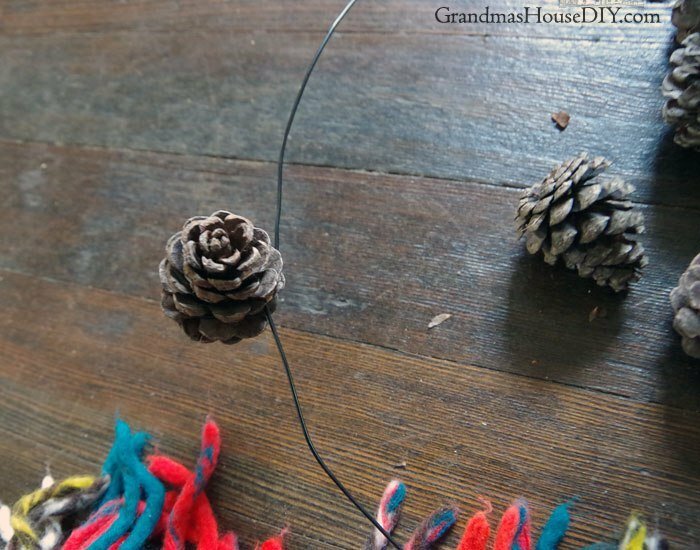 Then I added another ten pine cones around the outside just wrapping the wire around them and weaving it in. I ended up with a pine cone wreath I’m really happy with! And it ended up quite sturdy too! I added a loop of wire to the back for a hanger. With red ribbon I had purchased for my holiday decorating this year I made a simple slouchy bow and added it to the front for a pop of color. They made a lovely addition to my entertainment center this year and really set off the start of my holiday decorating! The wreath is so cute. 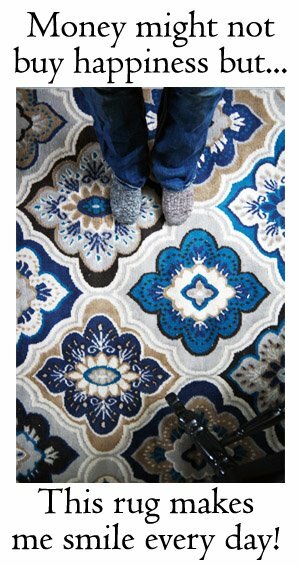 And how sweet to add Christmas cheer in unexpected spots in the home. Oh my goodness! Just about as perfect and cute as can be! Thanks for the detailed tutorial. Thank you Meegan, have a great Thanksgiving! 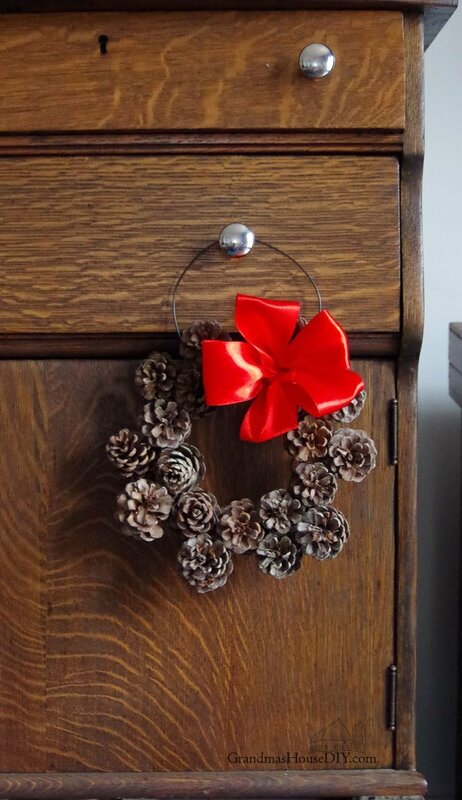 What a cute, simple wreath! 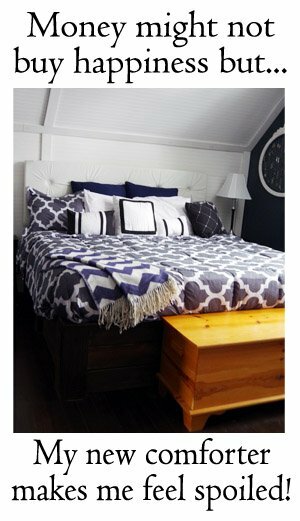 I love simple. Thank you for sharing. 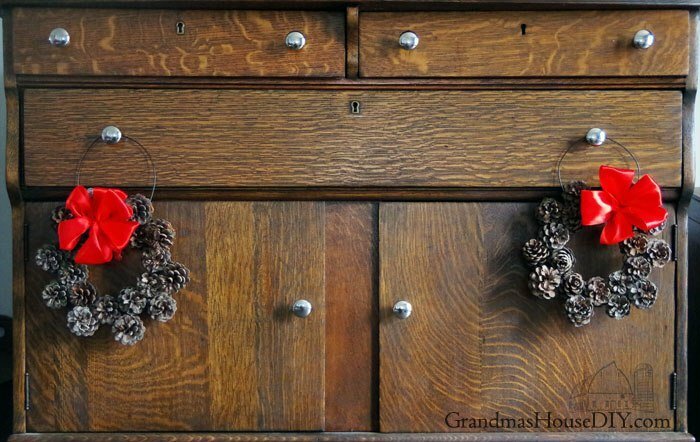 What sweet little wreaths… like something I would have seen in homes in the small rural community when I was growing up.